Design Feature-Rich PL/SQL ApplicationsDeliver dynamic, client/server PL/SQL applications with expert guidance from an Oracle programming professional. 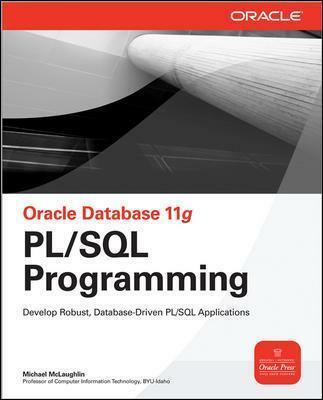 With full coverage of the latest features and tools, Oracle Database 11g PL/SQL Programming lays out each topic alongside detailed explanations, cut-and-paste syntax examples, and real-world case studies. Access and modify database information, construct powerful PL/SQL statements, execute effective queries, and deploy bulletproof security. You'll also learn how to implement C, C++, and Java procedures, Web-enable your database, cut development time, and optimize performance. Michael McLaughlin is a professor of Computer Information Technology at BYU-Idaho, the author of Oracle Database 10g Express Edition PHP Web Programming, and coauthor of the previous edition of this book. He has been working with PL/SQL since release 1.